Now that it's been a week since the new year, I hope everyone is out there achieving their goals or at least writing their goals down. I have been really praying and making sure I listen to God for what he has planned for me. I want to fulfill the plans of God. Lately, I've been talking to God, but not really listening. It hit me on yesterday as I talked with my sister-in-love, that God was speaking to me all along. As he spoke to me, I doubted everything he said and felt like he didn't really say those things. I realized that it was fear leading me to think those things. Well, now I am excited and feel at peace because I know God has spoken to me. You can never go wrong when God is leading the way. That's all I want in life is to be lead by God. Purpose is fulfilling the plan God has for your life. God's plans change a lot, but his purpose stays the same. His purpose for your life is not dead, if you're not. "For I know the plans I have for you", declares the Lord, "plans to prosper you and not harm you, plans to give you hope and a future. Then you will call on me and come and pray to me, and I will listen to you. You will seek me and find me when you seek me with all your heart." Spiritual Responsibility - Trusting God with everything. If you don't set the goal, someone else will set it for you. Goals are statements of Faith. Not just Dreams!! Declaring what Christ can do in you and through you. They are statements that will stretch your Faith. 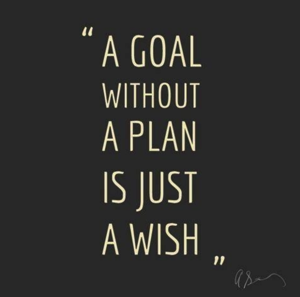 Write it down- It's important that you write your goals so you can see exactly what you want to achieve. Writing it down really helps me out, because it feels good to check things off when I'm done. I also don't feel overwhelm when things are in order and it helps me to see the bigger picture. Start Now- The goals are not going to fall in your lap, so start now. It's up to you to make your dreams happen! When you let God direct your path, he will show you what steps you need to take in order to achieve the goal. The biggest part is taking self out the picture and letting God be the forefront. Let the size of your God determine the size of your Goals!! Thank you so much!! Means a lot!